LCDR Ghaffari received his commission from Officer Candidate School in Pensacola, FL, October 2002. After completing training assignments in VT-2, VT-7, and carrier qualification aboard USS JOHN F. KENNEDY (CV 67), he earned his Wings of Gold in June 2005 at NAS Meridian, MS.
LCDR Ghaffari joined the Stingers of VFA-113 in April 2006 aboard the USS RONALD REAGAN (CVN 76) while in support of Operation IRAQI FREEDOM. He deployed twice more aboard the REAGAN in support of Operation FOAL EAGLE, ENDURING FREEDOM as well as Exercise MALABAR. LCDR Ghaffari reported to Training Air Wing ONE in April 2009 for T-45C Instructor Training. In addition to flight instruction with VT-7, LT Ghaffari served as Assistant Administrative Officer, Legal Officer, and Familiarization and Formation Standardization Officer. 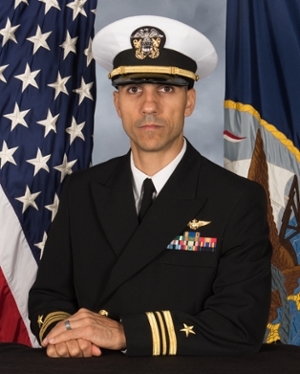 Departing in September 2011, LCDR Ghaffari was selected to join the staff of Chief of Naval Air Training as Flag Aide and Protocol Officer, serving Rear Admirals William G. Sizemore, II, Mike Shoemaker and Mark Leavitt. Selected for Lieutenant Commander and Operational Department Head, LCDR Ghaffari was then assigned to the VFA-97 Warhawks, where he served as the Safety Officer, Administrative Officer, Operations Officer and the Maintenance Officer. In December of 2015, LCDR Ghaffari reported to the United States Naval Academy Leadership Department where he now taught leadership and ethics classes to Midshipmen. 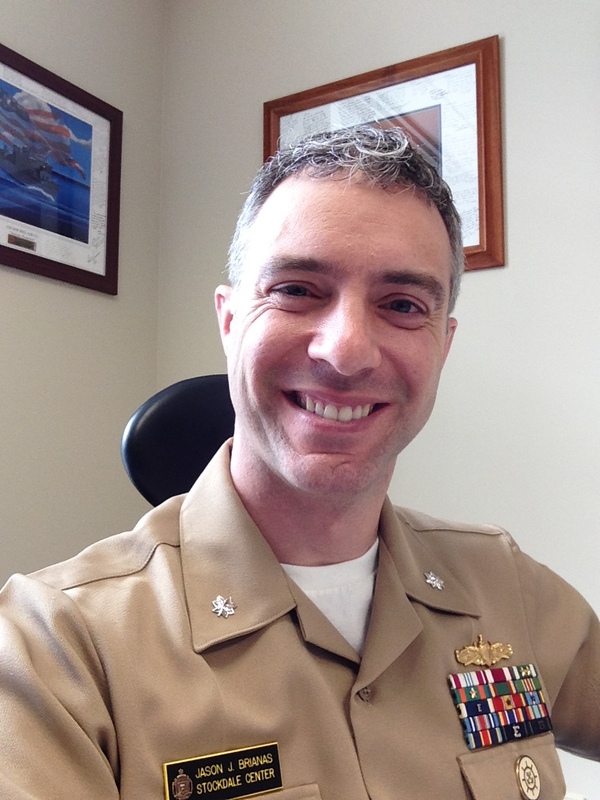 LCDR Ghaffari is now the Associate Director of the VADM James B. Stockdale Center for Ethical Leadership and a Leadership Instructor. To date, LCDR Ghaffari has accumulated over 300 arrested landings and over 1,900 flight hours in the FA-18B/C/D/E/F, T-45C, TC-12B and T-34C aircraft. His personal decorations include the Strike Flight Air Medal, the Navy Commendation Medal (2), the Navy and Marine Corps Achievement Medal (3), and various unit and service awards. LCDR Ghaffari graduated from Colby College with a Bachelor’s degree in Biology and from Holy Apostles College and Seminary Master’s degrees in Philosophy and Theology.